By Long Island standards, Rockville Centre is a development whirlwind these days, as AvalonBay Communities, Inc. begins construction on 165 new apartments, just two years after taking title to the property. “We’re moving and shaking in Rockville Centre!” said a pleased Mayor Francis X. Murray. It had taken 10 years of lawsuits and angst to build the last big apartment development in the village, “AvalonBay Rockville Centre,” but residents’ fears were not realized, and the mayor was intent on making it easier this time. Compare that two years with the tempo in Westchester, where AvalonBay won a zoning variance and building permit for a 14-story community within 16 months. In Arlington, Virginia, apartment builders have broken ground in as little as seven months. In Brooklyn, work started on the 41-story “Avalon Fort Greene,” 10 months after AvalonBay bought the site in 2007, records show, while it took just four months to get a building permit for “Avalon Morningside Park,” a 20-story building in upper Manhattan that opened in 2009. There’s wide agreement now that Long Island’s economic future depends on rapidly growing the supply of rental housing at prices within reach of younger working families. But a look at AvalonBay’s two decades of experience on Long Island and elsewhere helps show why apartments are going up here at a fraction of the pace that the region needs and the market could support. Regional priorities quickly collide with local imperatives here as single-family homeowners – Long Island’s primary stakeholders – invoke home rule to protect the safety and tranquility of their communities, and remain skeptical that large numbers of new rental apartments could enrich and strengthen them. So every AvalonBay development had to begin with a rezoning application, a time-consuming procedure with an uncertain outcome. Navigating all this requires time-consuming diplomacy with community groups, sometimes arbitrary demands by the many overlapping jurisdictions with a say in the process, and the ever-present threat of litigation. “It is akin to running for office to get an apartment site approved,” says Matthew Whalen, AvalonBay’s senior vice president for development on Long Island, who has spent more than a decade campaigning for approvals here. Public records on its developments show that while the buildings themselves go up quickly, AvalonBay has had to invest anywhere from two to eight years to get a go-ahead for them. The true timeline has been as much as 12 years or more, because about half of its sites were already in the approval pipeline for years before it bought them. That’s not counting all the AvalonBay efforts that have fizzled, in places like Yaphank, Plainview, Garden City, Oyster Bay, Port Jefferson and most recently the Long Beach Superblock. What is known is that land zoned for apartments is vanishingly scarce on Long Island, the home of the nation’s first single-family suburbs. So just about every apartment development becomes a case for the zoning board. And that alone adds a minimum of one to two years to any development process, explains David Flynn, planning director in Smithtown, which, like Brookhaven Town, has no land zoned for apartments. That is because, by definition, a zoning application requires not just an agency review but a change in the law. An apartment proposal also may require a subdivision proceeding, a legal change which like a rezoning, has public notice and hearing requirements that can take a year or two. Numerous hurdles have to be cleared ranging from site plans to parking considerations. If lack of zoning is the central element holding back the development of apartments on Long Island, rezoning may not be enough. When residents object strenuously enough to a development, officials may bend regulations to the breaking point in response. A recent analysis for the Long Island Index has shown, the tempo of approvals for apartments is a fraction of what it needs to be to reverse Long Island’s perilous loss of younger working adults. More towns and villages would need to be far more receptive to multifamily housing than they are now, said Kevin Law, president of the Long Island Association. That reality is especially frustrating for Long Islanders like Valley Stream’s David Sabatino, watching so many peers driven elsewhere by the cost of housing here. “There comes a point where we’re planning until this Island dies, and there’s nothing left to plan for,” he says. “People want to protect what they have and what they know, and there’s nothing wrong with that. But if we don’t learn to change and adapt, there isn’t going to be much to save. The author, Elizabeth Moore, is a former Newsday reporter and currently a journalism lecturer at Stony Brook University. 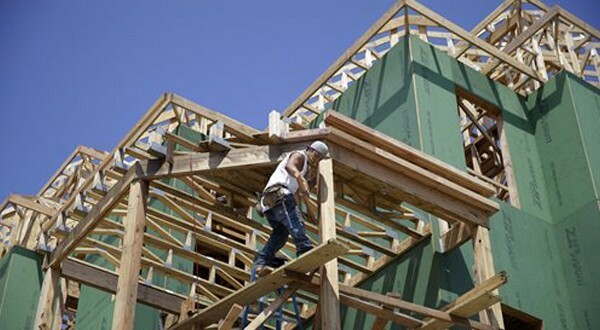 This article, which was published in the Long Island Business News, is condensed from a report titled “The Long Campaign: What it Takes to Build Apartments on Long Island,” commissioned by the Long Island Index and available here.